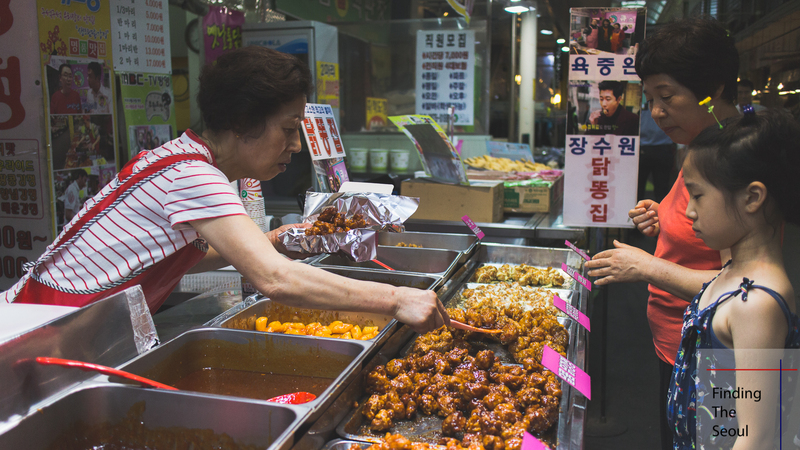 Those looking for a traditional market experience near the Hongik University area will have quite a fun time visiting Mangwon Market (Mangwon Shijang 망원시장). 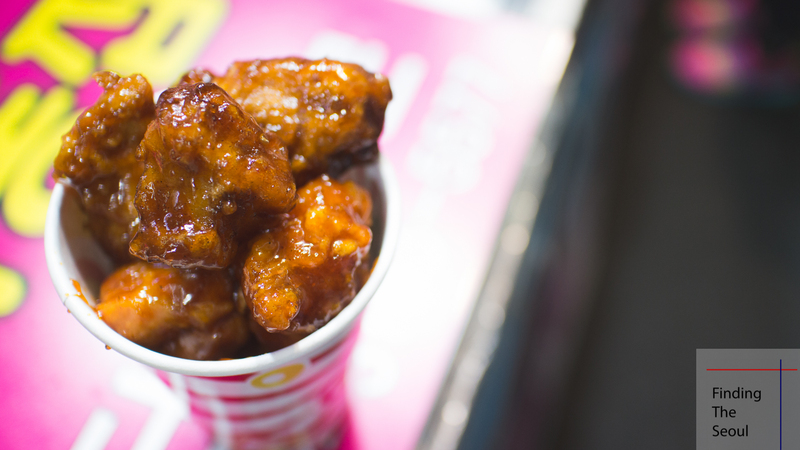 I’ve always had a great time trying all the cheap eats they have to offer. 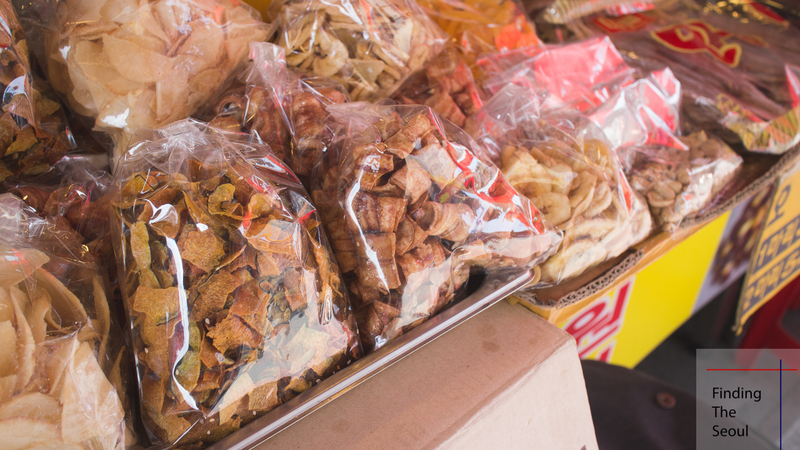 There’s lots of traditional ingredients that you may not find at the typical Home Plus or Emart, such as dried persimmons (geotgam 곳감). 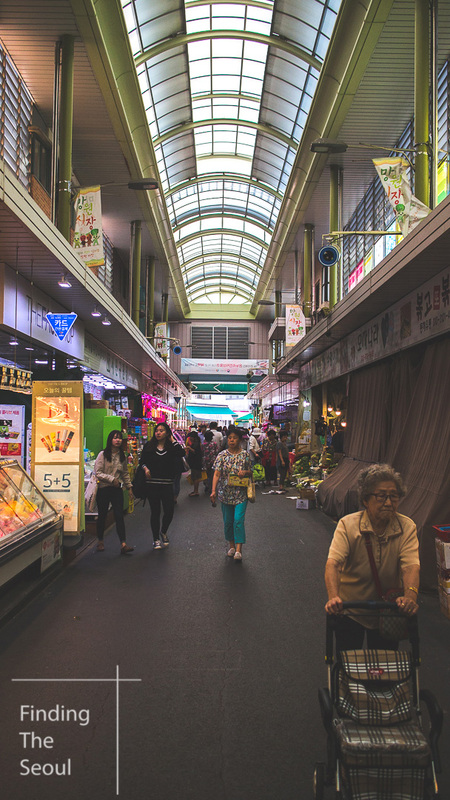 I highly suggest it if you want to experience a traditional market in Korea that’s near Hongdae! The market is relatively easy to find. 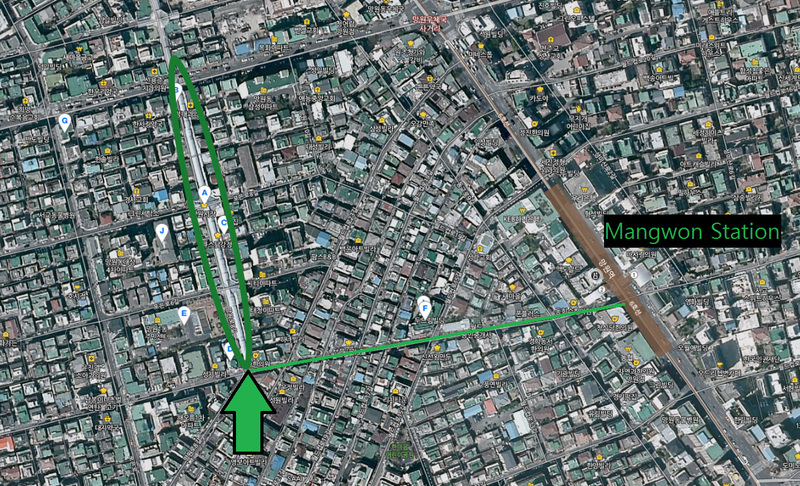 You just have to get out of Mangwon Station exit 2 and turn around. 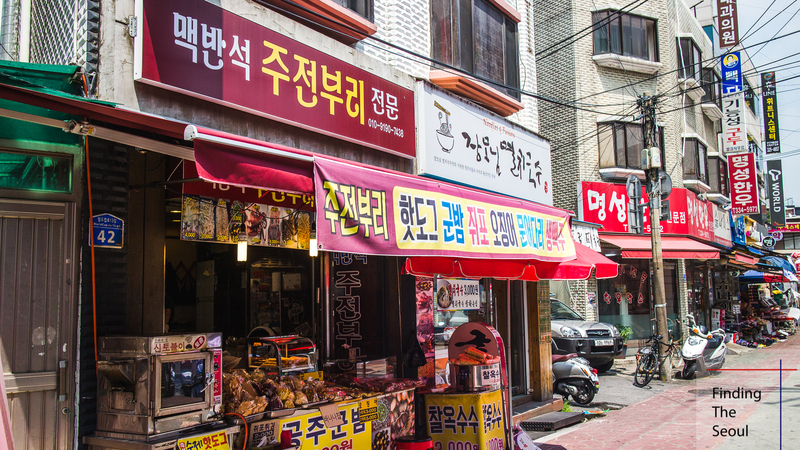 You’ll find the entrance to the market roughly at this address: 서울특별시 마포구 망원1동 403-21. There are many other little shops along the way before you find the market. My personal favorite is this small squid shop that heats up various squid parts as a snack. 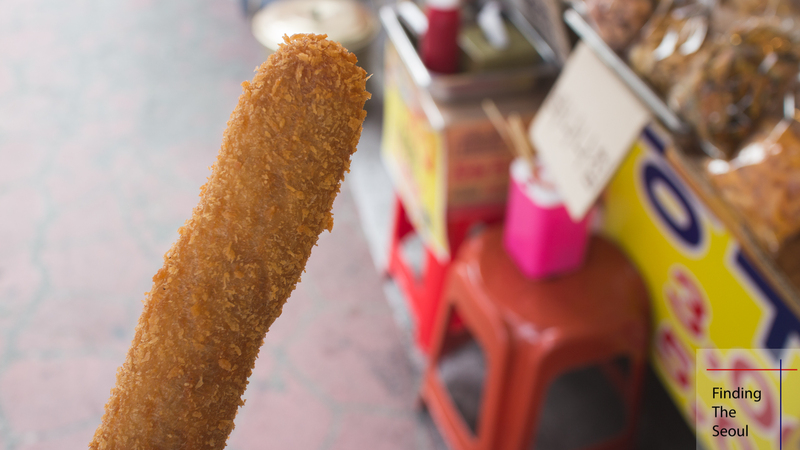 They have a 1000 won corn dog that taste like the perfect junk food when it’s fresh (the taste goes down exponentially the less fresh it is). Delicious and cheap corn dogs. Just the way I like them! 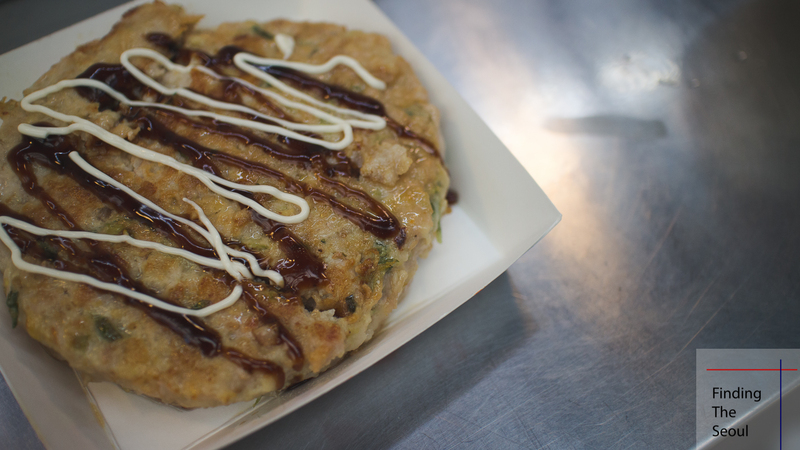 Mangwon Market has a great variety of street food available, even more so than the other ones I’ve visited. One of the most common is the fried chicken in different sauces (Tak Kajeong 닭가정), which comes in a multitude of different flavors like spicy, soy sauce, and mayo, that are sure to suit anyone! You can even mix them! Fresh and cheap croquets that come in all sorts of flavors. 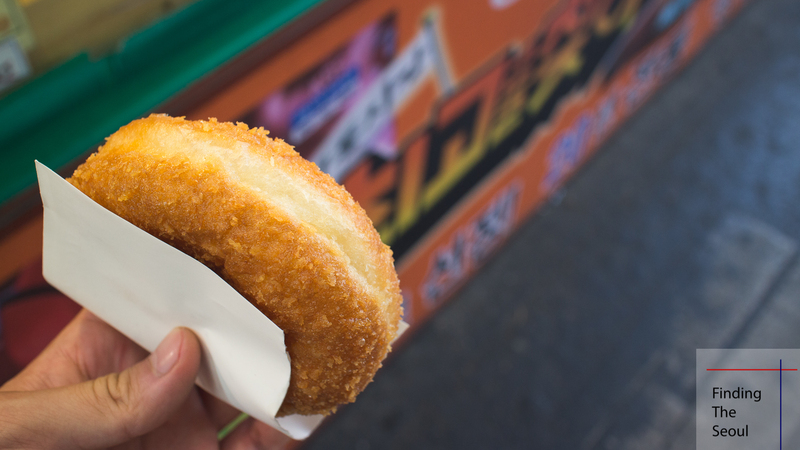 In the middle of the market, you’ll find two croquet shops which are crispy fried donuts filled with different kinds of ingredients ranging from pizza cheese to kimchi. I definitely prefer the cheaper shop as I wasn’t impressed with the other one. 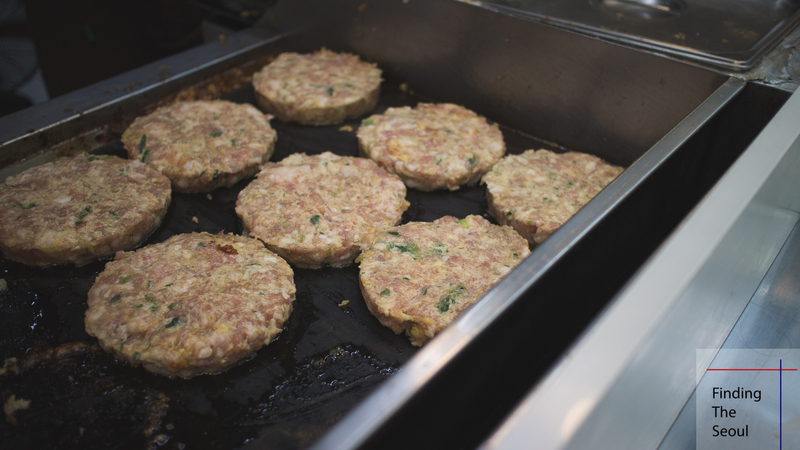 You’ll find a couple of places making ground pork patties known as ddeok kalbi (떡갈비). They tend to make it on the rare side, so you should ask them to make it a bit more well done. I was actually a bit upset when I first had one and there was definitely some raw piece of pork in mine. Sometimes they insist that it will dry out, but if you be a bit persistent they will give in. You can also order it as a burger. Pork trotters simmering in a huge vat. This stall has a beer slushie! 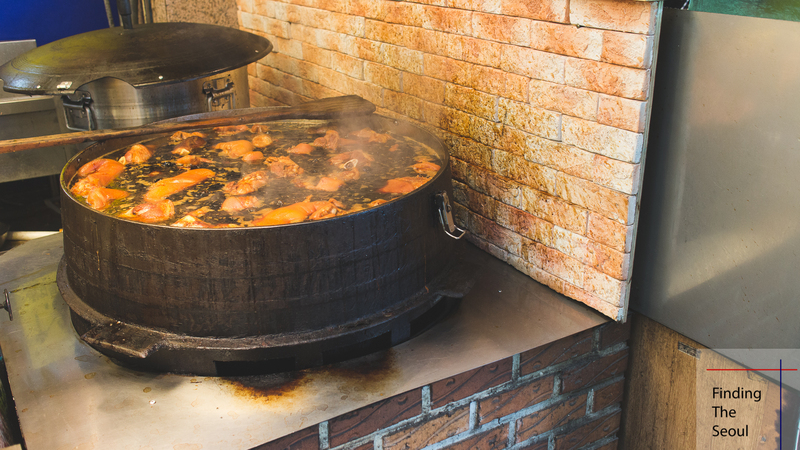 Besides the street foods, there are many stalls selling fish and meats, as well as dried ingredients. You’ll definitely have quite a field day here! Unfortunately, I haven’t been able to try all the places I’ve wanted to, but hopefully you can get a good idea for what to expect here. If you manage to get out here, let me know what were your favorites in the comments below! Hi, I just wanted to say that I love your website! I forgot how/when I actually came across it, but I am glad I did. The photos are great and up-close to make me feel like I’m there. Should I visit Seoul, I will always use this website as a guide! Hey! Not sure if my previous comment went through, apologies if it did. I just wanted to say that I love this website so much! 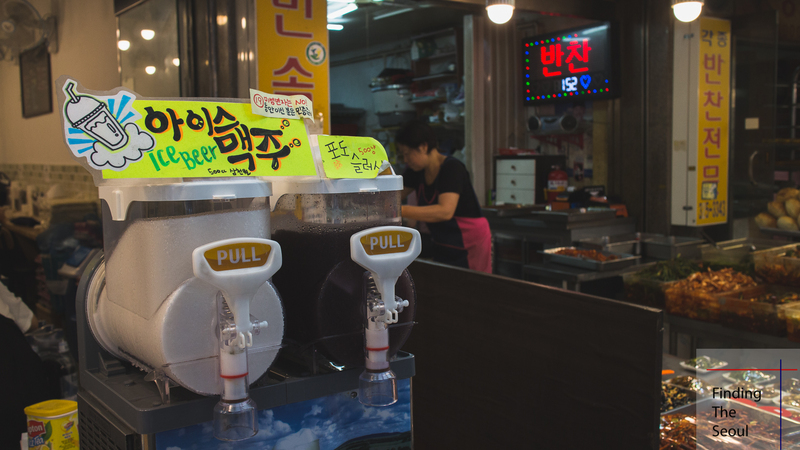 I have not been to Seoul but yet the photos are close-up and really makes me feel like I’m there! There aren’t really many blogs like this, but each post is enjoyable. If I ever go to Seoul, I’ll definitely use this website as a guide! Thanks very much Matthew! My blog has a comment moderator which is why it didn’t go through initially. Hope you enjoy your time once you go to Seoul! Let me know how it works out for you!